Since Galaxy Note 5 is hit the market in August 2015, there is a hot debate that which one is the better Smartphone, Galaxy Note 5 or Galaxy S6. On this page, we have made an attempt to present a comparative analysis between Galaxy Note 5 vs Galaxy S6, so that you are able to acquire an insight about which one is better. As far as size is concerned, Galaxy Note 5 is bigger than Galaxy S6; with Note 5 7% taller and 7% wider than Galaxy S6. The Galaxy S6 is also 11% thinner than Galaxy Note 5. Both Smartphone are light with GS6 weighing 19% less than Galaxy Note 5. Both the Smartphone have similar designs with tough aluminum frame. These two also have similar Gorilla Glass 4 back. Galaxy Note 5 is found to be more comfortable to take in hand due to slopes off on both sides, when there is a comparison between Galaxy Note 5 vs Galaxy S6. The Note 5is right now being sold only in black and white colours, but there are two more colour options, golden and silver. You can have a bigger screen in the Galaxy Note 5 than Samsung S6by 25%. In case of both the handsets, Quad HD resolution is found to be ultra sharp. This actually results in technically making the smaller one to be more pixel-dense, but in the Note 5’s display appears to be awesome when comparing Galaxy Note 5 vs Galaxy S6. As in case of Samsung high-end flagships, both of them have AMOLED panels. It wouldn’t be wrong to say that these two are the best displays right now. The Galaxy Note’s has S Pen, stylus note-taking feature. Though both the handsets have the option of wireless charging, it is faster in case of Note 5, which goes from zero to hundred percent in just two hours. The main drawback is that Samsung Charger has to separately bough, which would cost US$70 in case of Note 5. Cameras of both the handsets are outstanding, front and back camera, Optical Image Stablisation and installation of camera by double clicking on the home button. Both the handsets have superb octa-core processors of 64-bit. Though the internals of both are almost same, but Note 5 has additional GB RAM. 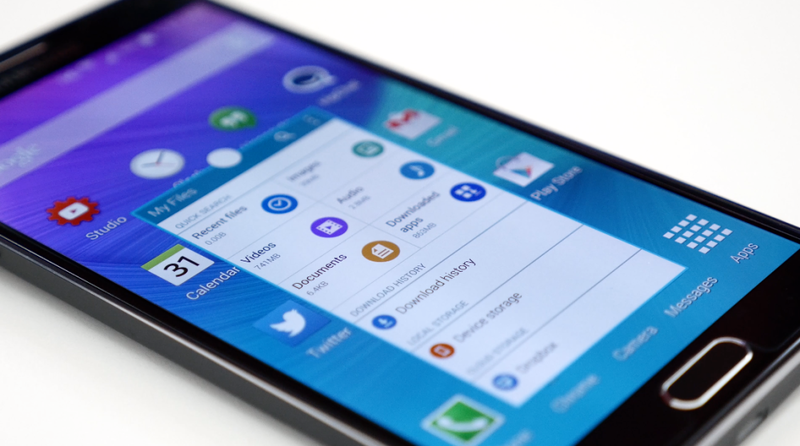 Both havefantastic Android Lollipop along with Samsung’s TouchWiz User Interface on top. Galaxy Note 5 is released in August 2015 and Samsung S6 in March 2015. The Note 5 has proved to be more expensive than Galaxy S6 by $100 (the price varies from carrier to carrier). We hope that you are able to get an idea about which one is better of Galaxy Note 5 vs Galaxy S6. Keep visiting to get latest information about your Smartphone!